Replacement rear wheel for Weehoo trailer bikes. 406 size rim for taking 20 x 1.75" tyres. will this fit with a 1/2inch axle? what is the bearing inside dimension? Unfortunately a 1/2 inch axle will be too big im afraid. 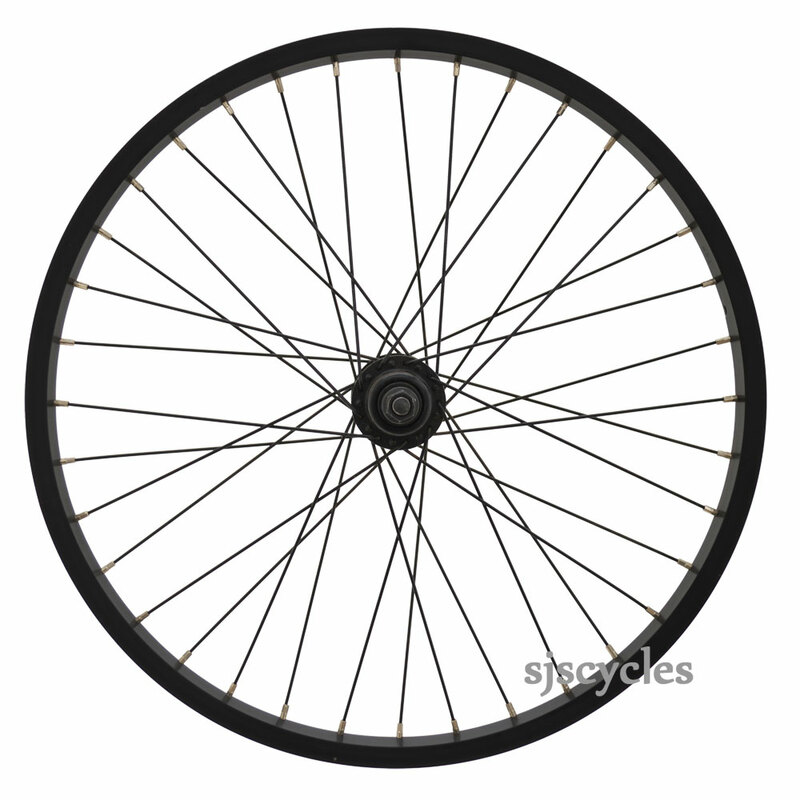 Hi guys, I'm looking to replace my Burley Nomad 16" wheels for 20" wheels. Do you think these would be suitable? My current wheels are quick release & not push button centre release. If these aren't fit can you suggest something else? Thanks. The best thing we can advise is to get in contact with Burly for their recommendation on which wheels would fit. I have a trailer buggy with 1.5cm width and the wheel is 7cm in width what is this wheels widths? Please contact our sales team directly as the information provided is not as in depth as we would need to know to help you. Is This A Trailer Wheel And What Size Is It? I am looking for 20" trailer wheels for an Avenir trailer can you help please? This is indeed a 20" wheel designed for use on a trailer bike.